It would have been a nice day to relax on the porch when I took this a few days ago. And the Beware of Dog sign is quite tiny, so I expect it's a toy breed. Very inviting! By the looks of the cushion, people have actually sat in that chair. 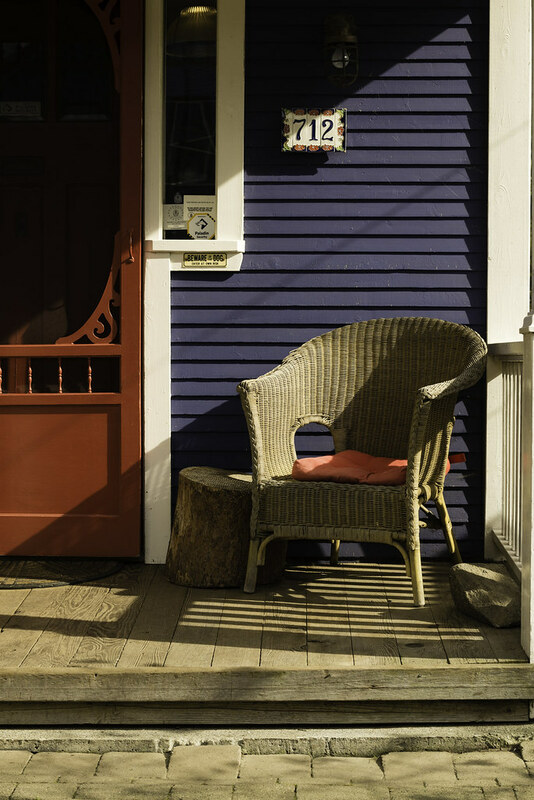 Often I see chairs on porches as a decorative statement but no one ever seems to sit in them.